We use the highest quality organic ingredients, sourced individually, tested regularly, and mixed here on site. Primordial Powder is a Biodynamic soil amendment that is pH balanced and has broad spectrum plant, animal, and mineral based fertilizers. 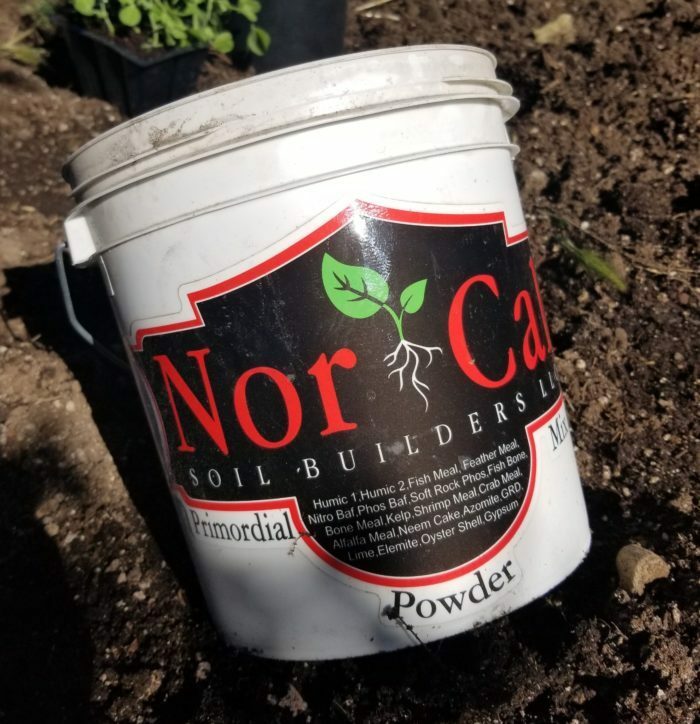 Containing 20 different ingredients, our Primordial Powder was created to keep your soil alive and your plants growing healthy. Use it in your own soil mix, as a mixable fertilizer, or to rejuvenate used soil. As Mixable Fertilizer – 1 Tbs per Gallon of Water. To Rejuvenate Soil – 10lbs per 1 yard of soil with 1 bag of worm casting and 1 bag of chicken manure if possible. Humic 1, humic 2, fish meal, feather meal, nitro bat guana, soft rock phos, fish bone, bone, phos seabird, kelp, shrimp meal, crab meal, alfalfa meal, neem cake, glacial rock dust, lime, elmite, oyster, gypsum. At Nor Cal Soil Builders we have an unprecedented level of customer commitment. Our passion is reflected in the care we use to create every yard of living soils. With an unwavering dedication to quality we refuse to use substitutes or fillers in our blends. 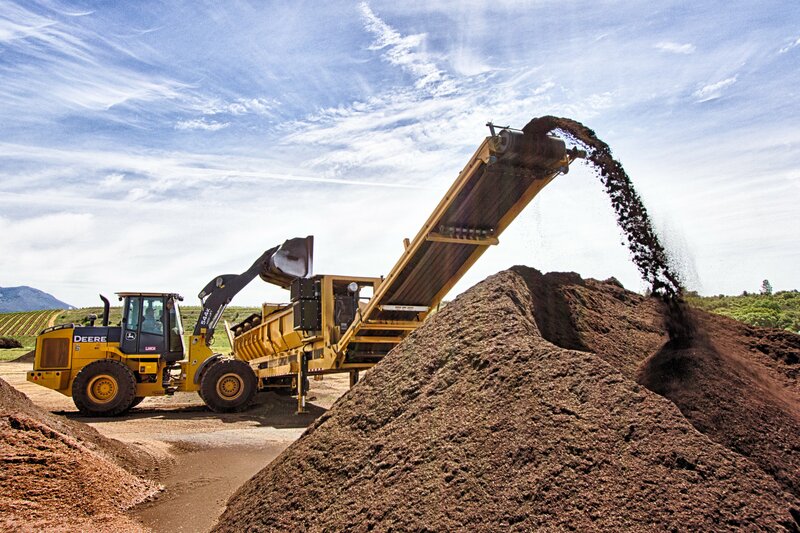 We source in bulk only the finest soil amendments, minerals and organic fertilizers from all over the world. Our recipe starts with 33% perlite, 30% Cocco Coir and 19 other ingredients chosen for their specific naturally occurring attributes and blended to perfection. Creating a habitat for microbial life, running a balanced time released regiment of nutrients and trace minerals that encourage outstanding growth rates. yields and plants health. With the satisfaction of not using chemical fertilizers. Purchase your mineral amendments and organic fertilizers at whole sale price. I decided to try out this soil last year after always using big name bag dirt (fox farm etc.) I was blown away! best soil i have used, incredible results and the customer service is probably the best i have come in contact with in a long time. If you are shopping around, looking at other brands etc. STOP SHOPPING AND BUY THIS SOIL. Great prices, great product and SO nice to work with! The only place we’ll buy our garden products! Best bulk soil hands down, great customer service, always willing to work with you and explain anything you need. I have tried soil from all over nor cal and buds is the best, no doubt. Has everything you could ask for in it. Quality business with quality products. Knowledgeable service. Managed and operated by local people with a passion for soil and amendments. 100% organic minerals, nutrients, and amendments. Service is top notch. Delivery service available. Convenient and efficient. Will not be disappointed. I would definitely recommend this business. In short, Bud is more passionate about his soil than anyone I’ve ever met! His soil is the best quality and you barely have to water your plant when most soils barely absorb. We talked for an hour with him as he explained his soil base and the best way for us to use it! Hands down best soil and we will be life long friends and customers. Love this place! Bud and his staff are excellent, knowledgeable, and ready to assist you in anyway possible. Bud takes pride in his business, as demonstrated through his blends. I use the fourway on my veggies and bud’s blend for my flowers; both remain happy and healthy throughout the season. As a gardener who has been buying bulk soil for years, it is rare that some debris is not mixed in, and often that debris comes from compost. I’ve been through well over 10 yards this spring, and can’t report anything “at the bottoms of my piles”….I will continue to support NorCal in the future, and encourage those in Lake and Mendocino counties to do the same! Providing premium wholesale soil, amendments, and custom blends to farmers all over California and Oregon.